Spiritual formation is rooted in the corporate prayer and public liturgy of the Orthodox Church. 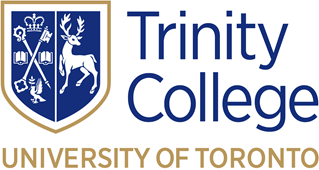 Orthodox School of Theology at Trinity College divinity students, like all Christians, are expected to be faithful in their participation in the regular services and Divine Liturgy. Moreover, each student is expected to strive for a disciplined personal spiritual life consisting of regular times for prayer and meditation, retreat, and spiritual direction. The School of Theology offers an annual retreat as well as periodic quiet days and other structured opportunities for prayer and meditation. In addition, a resource person is available to students for information, guidance, and support in the areas of prayer and spirituality. MDiv students preparing for ordination are advised to meet regularly with their sponsoring bishop (or his official deputy) to ensure that their studies and pastoral formation are progressing as expected. Some dioceses and bishops set additional academic requirements for their ordinands, and offer direction concerning course selection or distribution. Students should inform the MDiv Director of any requirements or recommendations which may be additional to the MDiv course or field education requirements.